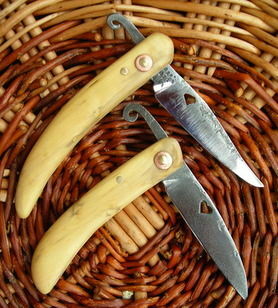 The blades are hand-forged to shape, ground and polished. 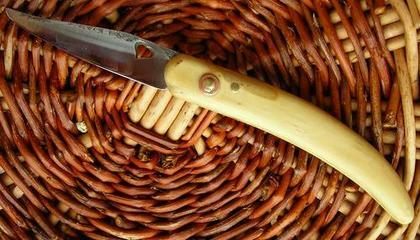 Parts of the blade retain the beautiful character given by heat and forging. 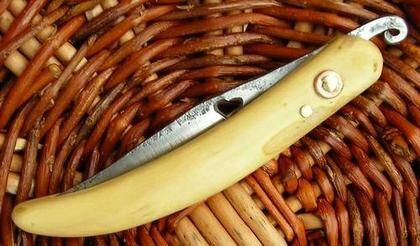 These have a heart-shaped piercing in the blade. 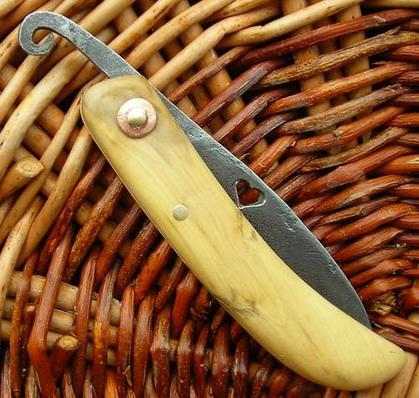 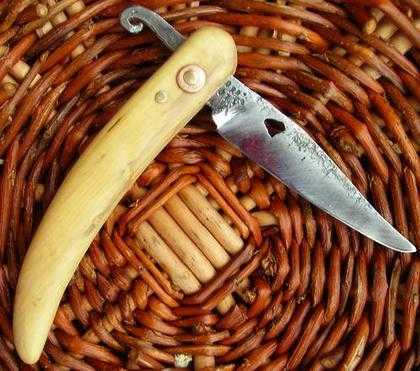 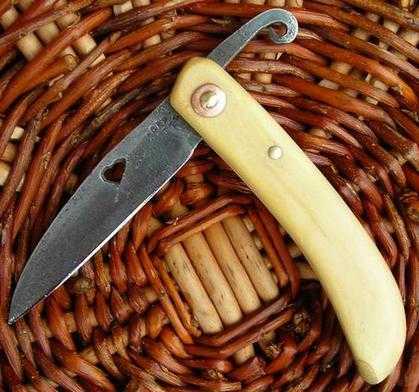 The handle is hand-carved English boxwood.